License plate seen in the parking lot of Park County Fair in Powell, Wyoming. Copyright by WyoJones. All rights reserved. Used with permission. Now he wishes that a) we had gotten vanity plates for HIS car and b) that he could find that bumper sticker. 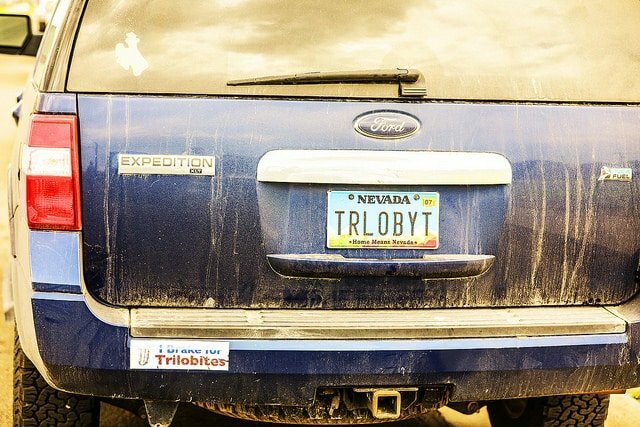 I can’t change our plates, but if you see geology related bumper stickers, please post the links here!